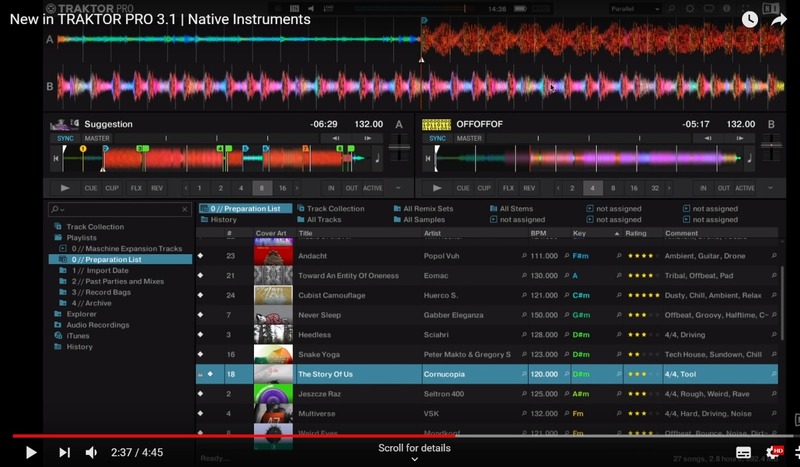 Home DJ News Native Instruments Releases Traktor Pro 3.1! 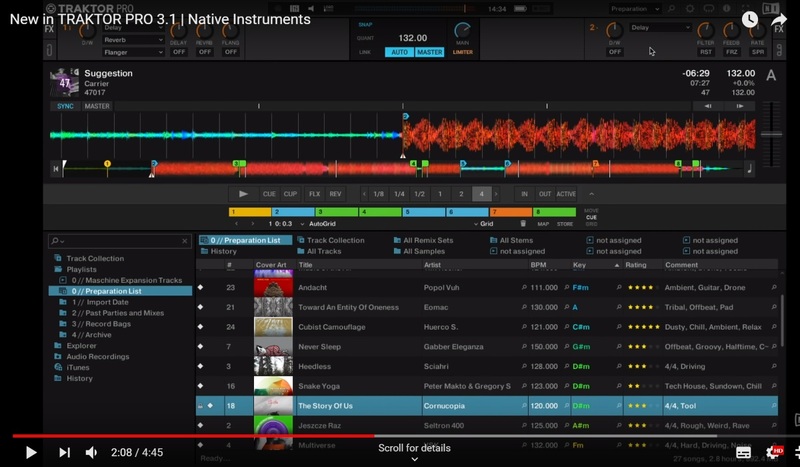 Native Instruments has released Traktor Pro 3.1, featuring some of the cool things we already saw at Namm 2019, but get to experience for real now. 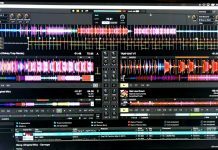 The most notable feature is the parallel waveforms, which brings Traktor Pro in the terrain of Rekordbox DJ and Serato DJ. But there are other things as well. Traktor now allows to “over-map” specific features of the Kontrol S8 and the Kontrol D2. This means that you can grab any knob or button on the S8 and easily assign it to a custom function without altering the default factory mapping. 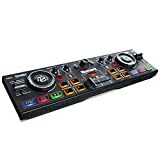 If you have the new S4 MK3 connected, the Traktor Pro 3.1 update will trigger a firmware update for the controller that enables the standalone mixer mode on the S4. 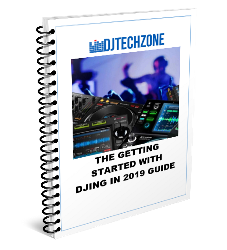 This way, you can then use the mixer without a laptop and Traktor Pro 3.1 connected. Another cool feature is the preparation mode, that activates a single deck mode. This is ideal for preparing your playlist and set your hot cues. But the main attraction is the new parallel waveforms view. And yes, it kind of breaks with a longstanding Traktor Pro tradition. While most other software packages had parallel waveforms, Traktor Pro was the only package that shied away from it and that made it, amongst many other things, different. 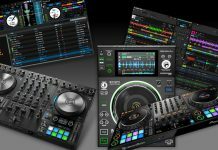 Now that Traktor has it as well, the difference between the “big 4” (Traktor Pro, Rekordbox DJ, Serato DJ, and Virtual DJ) becomes smaller and smaller. You can set up to 4 tracks stacked on top of each other, including STEM tracks. Parallel Waveforms: Two new deck size “Parallel Full” and “Parallel Slim” have been added, which optionally replace the side by side waveforms by stacked ones. Single Deck View: The number of visible decks can now be set to “1”. This provides a single deck view with the waveform spread across the full width of the screen to be used for set preparation. Non-destructive file handling: A set of options called “Tag writing mode” has been added to the File Management preferences. 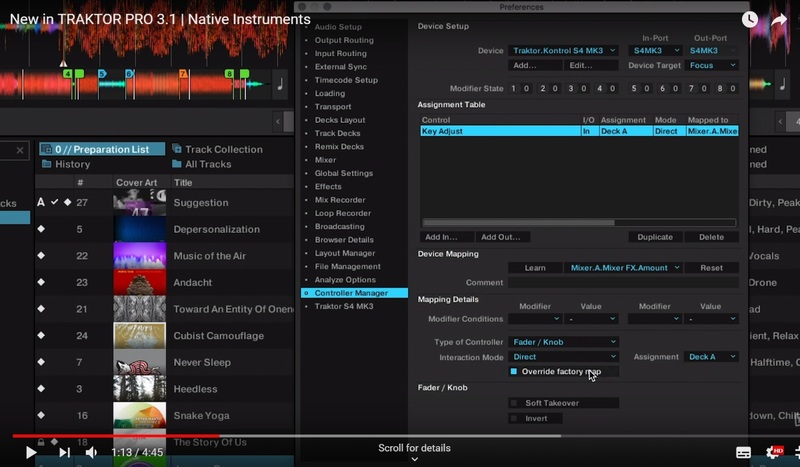 It configures which types of metadata TRAKTOR writes or does not write to the audio files. Switching between JOG and TT mode will no longer affect the jog wheel’s tension on S4 MK3. Available now, free for existing users.